I owe this one to Kafkaesque. Over a year ago (two years, maybe?) she insisted that I give Alahine by Teo Cabanel a chance. She was really adamant about it, and I do not argue with Ms. Kafka. She was right. I fell in love with this rich ornate oriental the way I did decades ago with the any of my first big florientals. It has everything I love: honeyed golden flowers (give me the ylang nectar and no one gets hurt), a classic jasmine-rose heart infused with resins that give it a contemporary edge, and a rich tapestry of vanilla brocade. If you've ever smelled the base notes of a really really vintage Chanel No.5 extrait and amplified it to the nth degree you can probably picture the opulent elegance of Alahine's dry-down. Alahine is sweet within the boundaries of good taste. It's loud yet not brash (Kafkaesque recommends moderation, but I'm all about 'more is more' at the moment), and the juxtaposition of soft petals against peppery minerals and dirty musky cistus is my jam. When I look through the big floriental part of my perfume collection I notice that I've been wearing this Teo Cabanel perfume more often than my old standbys (Jil Sander No.4 and the other 80s and 90s staples). Is it because Alahine is edgier? More of this time? Probably not, considering the other stuff I wear on a regular basis. I blame the vanilla this time of the year. As Alahine settles and expands on skin there's a comfort element that feels just right at times. I need to be in a certain mood to wear the classic Panthere de Cartier, but the 2007 Teo Cabanel eau de parfum (I'd sell my soul for the discontinued extrait) is an easy choice, just like my favorite orange cashmere stole (you didn't expect me to wear pink, did you?). A few years ago Teo Cabanel changed the packaging and the bottles of the entire line. Such a move tends to get the warning sirens of reformulation to blow at full force (as does the disappearance of higher concentrations). When I set to buy my own bottle I did some sleuthing to find an older version because I'm a paranoid purist. But I also chatted with the nice people at Luckyscent who sent me samples from their newest tester, and I tested them side by side with my older juice. I was happy and slightly surprised not to find any difference. I'm not a professional nose, of course, and it was Serge Lutens who said in an interview (I can't find the source, but could have sworn it was on Grain de Musc) that we should expect a formula change or a tweak about every seven years, so take this with a grain of ambergris. All I can say is that if there is a difference between older Alahine (clear bottle and a squarish cap in a gold-printed white box) and newer (cylinder shaped gold bottle, round gold cap, heavier white box with a gold label), I cannot detect it. Teo Cabanel- Alahine ($130, 50ml eau de parfum) is available from Luckyscent. 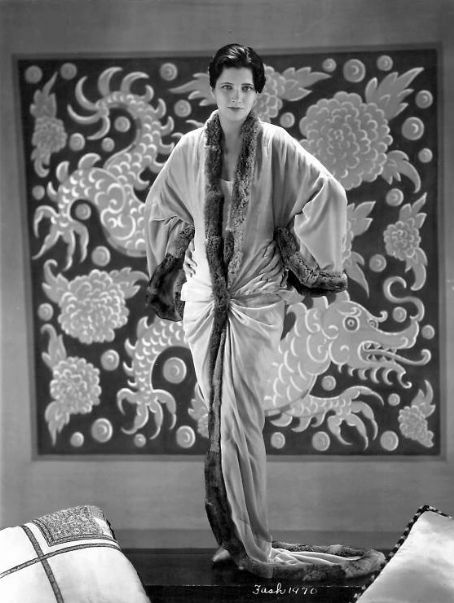 Photo of actress Kay Francic circa 1930 via kayfrancisfilms.com. I fell for the "new" version (Teo Cabanel offers a very reasonable sample set through their website), but found the old on fleabay. They both smell great to me! Exactly. This is one case I'd encourage everyone to buy the current one from Luckyscent (or directly). The stuff is fabulous. I have the extrait and it is all that you could imagine. Funnily enough, I find I can wear Panthere de Cartier anytime but need to be in a certain mood for Alahine. PdC was my wedding and honeymoon perfume, so I usually save it for date nights. It makes the husband swoon. A few years ago, after reading reviews and raves about Alahine, I got a decant, certain I would love it. But it fell very flat for me. Perhaps it was the fault of the decant or perhaps it doesn't play nicely with my skin. It wasn't terrible, but--worse--it was simply not something I'd care to spend time with. Funny how skin chemistry works! Or maybe it's my nose: I spent a decade getting terrible, ongoing, endless sinus infections, and while I get them far less frequently now, my sense of smell was permanently damaged. At least I can still smell a few wonderful scents...and my loss means there's more Alahine for everyone else. That's a very positive way to look at an otherwise crappy situation. I'm glad you can still enjoy some perfumes. It must make them extra special for you. I love Alahine - makes me happy. I have a thing for modern perfumes that show no embarrassment over being full out perfumes. And am hugely relieved that the change in packaging has not meant a serious change to the scent inside. I think I need therapy for my serious inability to graciously accept reformulations of loved perfumes. Few things make me rage as much as reformulated perfumes. Thinking of Lauren turns me into a raging beast. Alahine seems to generate strong opinions, I'm definitely in the love camp. It's one of desert island discs perfumes (uk radio programme where people talk about their lives and choose 8 pieces of music) - I have a perfume list as well as a music list! Makes total sense. Not that I could ever narrow it down to eight!